Whilst many of us have a list of things to do before Christmas, ensuring there are sufficient funds in the bank is critical to having peace of mind over the holidays, and enjoying our break. It’s a challenge most businesses face: staff and expenses still need to be paid, whether businesses are trading or not. 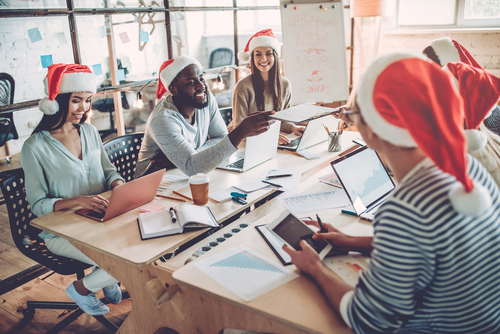 Unless the holiday season is when you have your peak sales, it’s the time of year when sales are lower, customers aren’t open to be able to pay outstanding invoices, and cash flow can be tight until well into February. Planning and budgeting for your cash flow during this period is highly recommended. By understanding what your cash flow will look like now, you can be proactive in rectifying any shortfalls in advance. It can take time to have invoices authorised and paid, so the sooner you start following up on unpaid invoices, the better. If you can get a commitment of payment, great. For all those customers who are usually slow to pay, send them advance reminders of when payment is due. The sooner those invoices can be authorised, the sooner they will be paid. When are you invoicing in December and do you need to revise this based on when your customers are closing for Christmas? When you are sending Christmas cards or presents, you may just find remembering these guys will get you to the top of the pile for payment. Have all payment options on the face of your invoices, and think about what an early settlement discount could do for your cash flow if you offered it for payment before Christmas. Take care with new customers, or existing customers who are over their credit limit. It’s a busy time leading up to Christmas, and important to follow your normal procedures whilst getting excited about new sales. In some circumstances, would it be appropriate to ask for payment upfront, 50% upfront or shorten your payment terms? 6. Lastly, don’t forget your creditors. Stay in touch, and if you are not able to pay to terms, be open about it early. You want to keep your suppliers happy and make sure your relationships are intact, so the earlier you get in touch and work with them, the better for the management of their cash flow also. If you can pay early, you may be able to negotiate an early settlement discount. If you need a hand chasing up unpaid accounts, send them to us as soon as you can, so we can work on them with plenty of time before Christmas. We have our full resources available and working to support our clients leading up to the holidays. Let’s follow up those slow payers before they shut down for Christmas! Click here to go to our online portal.